Hawkesbury Radio 89.9FM 6pm-9pm local time NSW Australia. 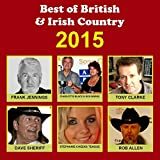 Enjoy all the latest country music chart hits on Country Corner Jan 31st 2016 + new songs from country music artistes from across the world. There are special plays for songs promoted by Hillcrest Music in Canada, E H King Music in USA and Glory Train Records from Europe. Three hours of great country music including lots of Australian artistes and requests from local Hawkesbury residents for their favourite tracks. Call the station on the day if you’d like a special mention. Clyde Auditorium Glasgow | Country 2 Country Festival March 13th 2016.